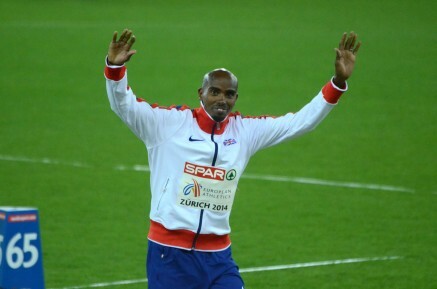 17th August – On the final day of the European Championships, Mo Farah (GBR) completed the long distance double with a commanding display in the 5000m final. In a slow and tactical affair Mo always kept himself near the head of the field and away from trouble. He went to the front with just under 5 laps remaining ad controlled the race until 600m to run. Here he was passed by a surging Ibrahimov but he did not panic and as has now been seen many times he retook the lead at the bell. A 52 second last lap was more than enough to capture the 5000m title for the third time and complete his second European long distance double. Another PACE athlete collecting his second medal of the Championships was Matthew Hudson-Smith (GBR). Having been rested for the heats of the 4x400m the individual silver medalist was brought back into the team for the final and ran a strong second leg with a 44.2 split. This contributed to not only a gold medal winning performance but also a world class clocking of 2:58.79.